Ticks are especially prevalent this time of year. Do you know how to prevent them? Read below and find out how tick savvy you are. Ticks carry disease, but they won’t kill you. True or False? False. Ticks can kill you, but only if you do not treat a bite effectively. Small ticks, such as deer ticks, often can go unnoticed. However, these ticks carry diseases, most commonly Lyme disease. Early symptoms of a bite may include headache, fever, pain and swelling, nausea and rashes. 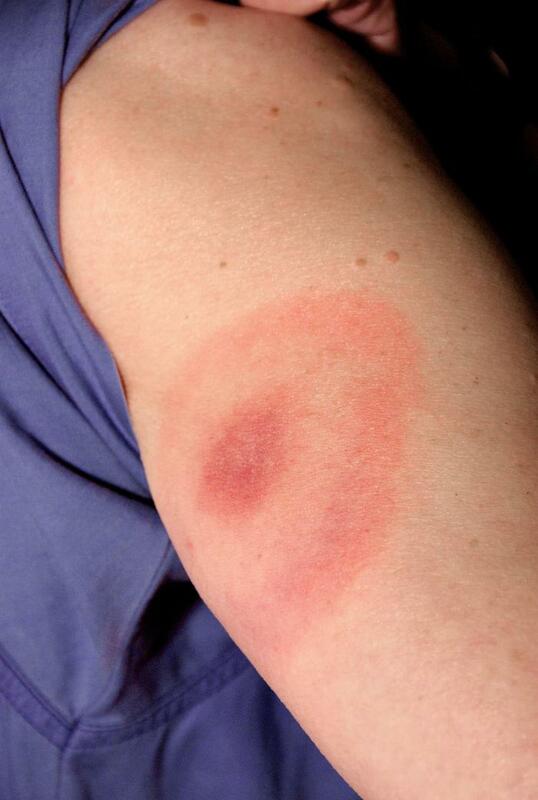 The most common indication is the appearance of a “bull’s-eye” around the bite site. Upon discovery of a bite, certain measures are to be taken. First, remove the tick. Clean the area and apply an antibiotic cream to prevent infection. Lastly, be sure to consistently check the area. If a bite goes untreated, serious ailments can occur in the joints, heart and central nervous system. These are very difficult to treat and even may lead to death. You can avoid ticks with several methods. True or False? Most importantly, wear protective clothing, such as long-sleeved shirts, pants and socks, so skin is not exposed. It also is a good idea to tape the area where pants and socks meet to avoid ticks crawling under clothing. Treat or purchase clothing, camping gear and boots with a repellant containing permethrin. Applying bug spray on skin also will help repel ticks. At home, maintain your lawn and landscaping. Cut grass frequently, install fences to prevent animal intrusion, keep bushes trimmed and pick up leaves to help decrease the prevalence of ticks. Shower as soon as you return from being outdoors. While two hours is the recommended time period, it is best to do so immediately. Doing a full body check also is a must.